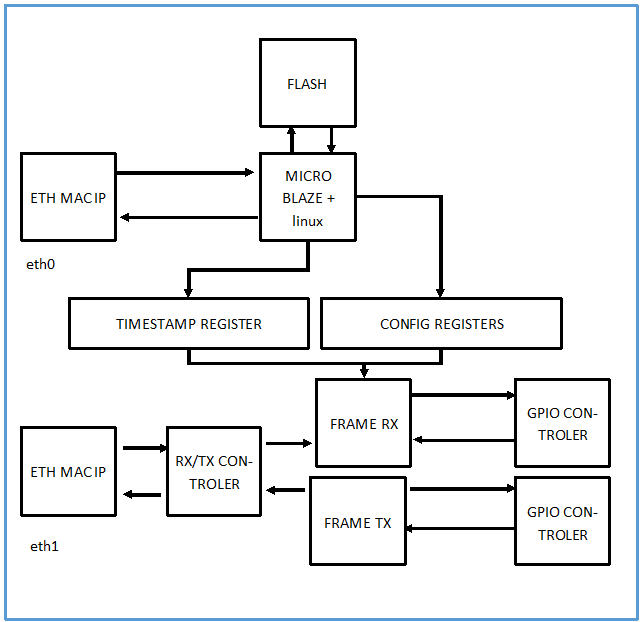 I'm new to this forum and to fpga programing and I got a question: is it possible to implement a linux on microblaze and having non linux-managed blocks (classic logical blocks) at the same time? and how to realize that. I got the webpack suite of Xilinx (vivado + sdk), i'm working on windows but got a ubuntu virtual machine ready. For the linux implementation, i found @loberman manual, i was close by myself but it's realy helpfull. Well that's the thing, the blocks under the TIMESTAMP REGISTER and CONFIG REGISTER won't be controled by the linux,. I'm will write those IP, test them and implement them. So my question will be, if I want to do that, to implement the linux, i need to create a device-tree, and a Linux image (eventually a U-boot too). Then I can load the linux, but I don't understand when the bitstream is loaded and how the Linux will known which hardware is interfacing with it? So there is something missing, am I right?